«Keep close to Nature’s heart» illustrated quotation. Nature, free quote pictures for Facebook, Twitter, LinkedIn, Reddit, Pinterest and other social networks. Keep close to Nature’s heart... and break clear away, once in awhile, and climb a mountain or spend a week in the woods. 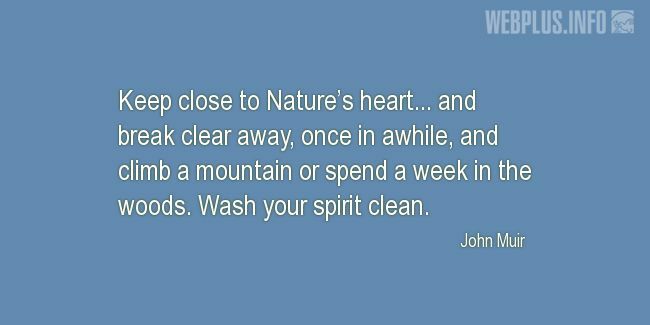 Wash your spirit clean.